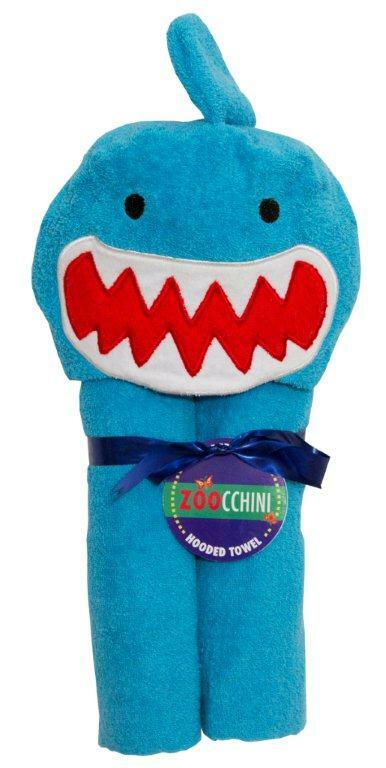 Just in time for summer fun, ZOOCCHINI has debuted 7 fun new characters in their hooded towel line! Whether for a day at the beach, an afternoon spent poolside with the kids, or to make bathtime more fun – these generously sized, pure cotton terry hooded towels are ready to make a splash. Little ones can choose from a Duck, Dog, Frog, Flower, Owl, Polar Bear and Shark, and each adorable new design features hand grabs for tiny fingers to wrap themselves up in after swimming or bathing. If you have more than one sibling – ZOOCCHINI’s hooded towels are the perfect way to assign each child a designated towel to avoid squabbles! To see all of the hooded towel designs from ZOOCCHINI, or to order online, please visit Zoocchini.com. http://tinygreenmom.com/wp-content/uploads/2018/07/logo-sm.png 0 0 Tiny Green Mom http://tinygreenmom.com/wp-content/uploads/2018/07/logo-sm.png Tiny Green Mom2012-05-31 10:55:352012-05-31 10:55:35New Hooded Towels from ZOOCCHINI for Summer Fun! 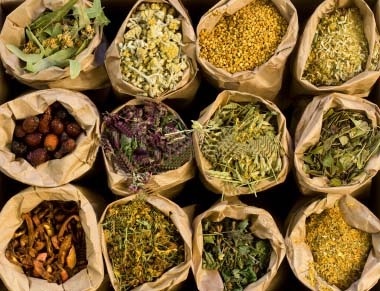 Did you know that natural herbs have great health benefits? Not only have natural herbs been around for hundreds of years, but they help heal your body and keep you feeling strong when your body needs it the most. In fact, many modern drugs and different types of medicine are based on herbal medicine practices and contain parts of plants as some of their core ingredients. There are several different kinds of herbs that have excellent benefits. Here are a few to learn about and brief descriptions to help you understand which herbs help with what health problems. Ginkgo Biloba – This herb is mostly used to help with memory enhancement, prevent and help with altitude sickness, and also ease premenstrual syndrome (PMS). Since Alzheimer’s disease is becoming prevalent in our society, Ginkgo biloba helps during the early stages of this disease. Scientific research shows that this herb will quite possibly be just as effective as prescription medications, which is outstanding. Milk Thistle – Milk thistle has all sorts of benefits including protecting your liver from many harmful elements including chemicals, toxins, and alcohol. This means anyone who has a liver based problem including cirrhosis, jaundice, and hepatitis has benefits from milk thistle. In addition, this herb helps with alcohol and drug abuse and even liver poisoning from foreign chemicals. 5-HTP – If you are suffering from depression or anxiety you may want to give this herb a try. This is a popular treatment for depression and is commonly found in many different stores, making it accessible to use. This herb is also related to the amino acid tryptophan and converts into serotonin, which is believed to be what your brain is lacking when going through depression. So as you can see there are many different herbs to take when suffering from health problems. Natural is always better and herbs will benefit your health. If you’re in question about certain herbs or would like to learn more about them and the health benefits, hop on the web and do your own research or ask your doctor. You can weigh the pros and cons and find out what is best for you and your health. Sierra is a freelance writer who writes about a variety of topics, from fashion to fitness. She takes natural herbs as needed and knows that Ginkgo biloba and other herbs will help improve her health and your health too. **The quantity you use is dependent on how many mouths you have to feed. Soak skewers in water for about 30 minutes so they do not burn when put on the grill. Clean and cut squash, tomatoes, and mushrooms into pieces that will work well on kabobs. 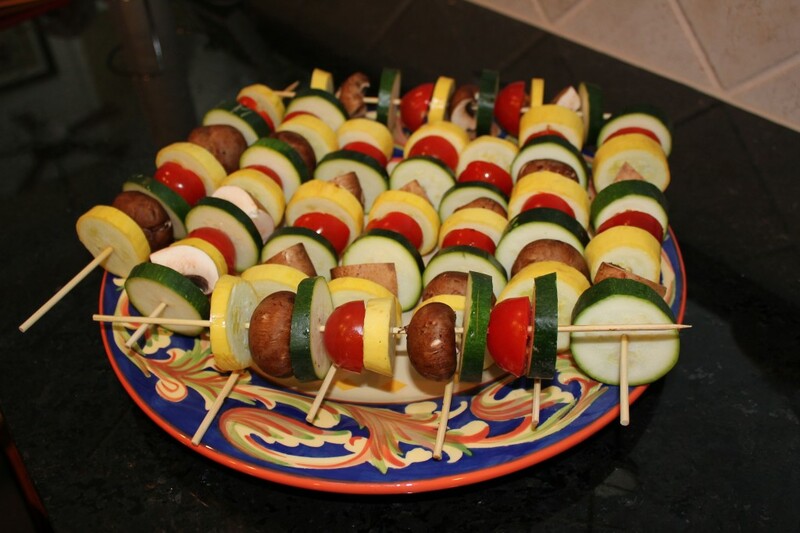 Place veggies on skewers alternating zucchini, tomatoes, squash and mushrooms. 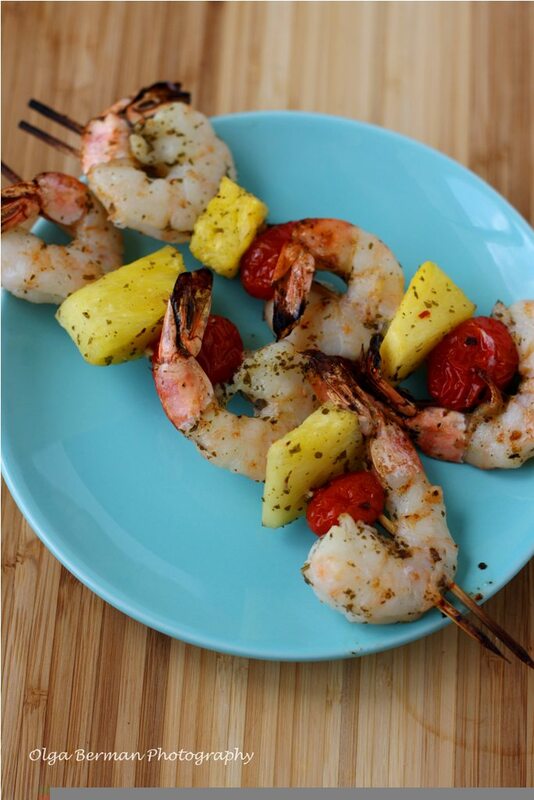 Drizzle with balsamic vinegar, and place on grill. These can also be prepped ahead of time and ready for an evening BBQ (wait to drizzle the balsamic vinegar right before grilling). Isabel De Los Rios is a certified nutritionist and exercise specialist who has already helped over 25,000 people all over the world lose incredible amounts of weight, regain their health and permanently change their lives. 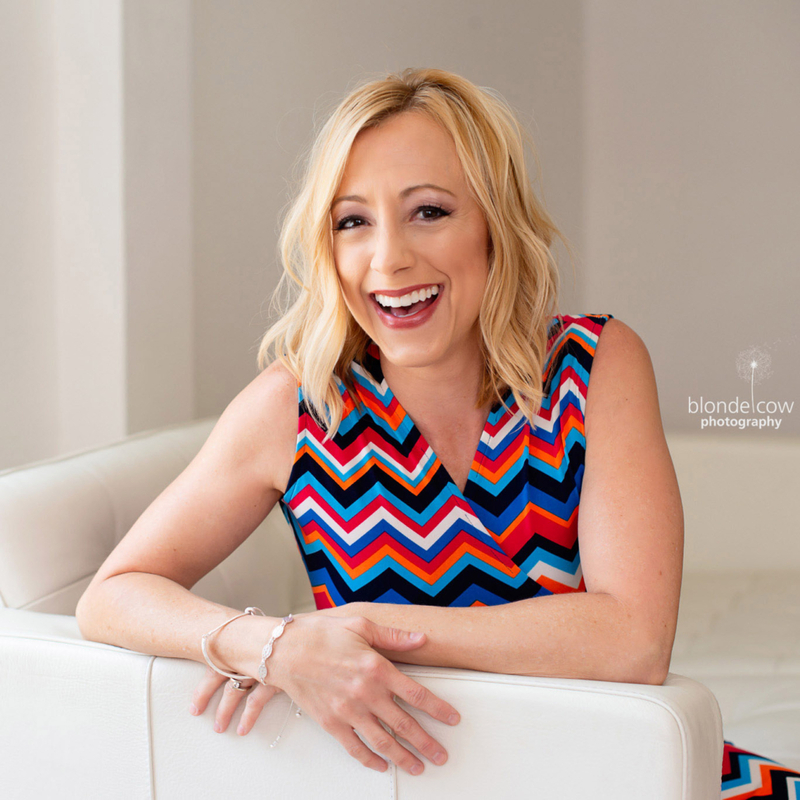 She is a co-founder of Beyond Diet , and is the #1 “go to girl” when it comes to Fat Burning Nutrition by several of the most popular fitness professionals around the globe. All-natural, Vegan and gluten-free – Orchard Bars were already a favorite snack in “Mom’s” house! With their two newest additions to the Orchard Bar family, including Cherry Almond Crunch and Banana Mango & Macadamia, Liberty Orchards has created their two best flavors yet! The Cherry Almond Crunch Rocks – what’s not to love about sweet cherries and crunchy almonds!? The delicious bars are packed with nuts and fruit, sunflower and flaxseeds, making them rich in antioxidants (vitamins A & C), low in sodium, high in Omega-3 fatty acids, and a good source of protein. Plus, they do not contain preservatives, artificial flavors or colors, cholesterol or saturated fat! These are perfect for road trips with the family this summer, or to tuck in a desk drawer for an instant energy boost in the afternoon. Orchard Bars are available in a variety of yummy flavors, including Blueberry Pomegranate & Almond, Pineapple Coconut & Macadamia and Strawberry Raspberry & Walnut. To learn more about Orchard Bars, to locate a retailer near you, or to order online, visit OrchardBar.com. Around 1500 plastic bottles end up in landfills or in the ocean every minute of every day. It takes approximately 700 years for a plastic bottle to decompose and may take up to 1000 years to decompose completely. 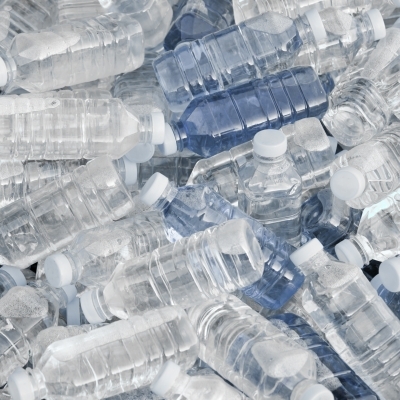 Research suggests that the average family gets through 168 plastic bottles every year. It goes without saying that you should never throw your plastic bottles in the garbage along with your other household waste. You should always either recycle them or try and use them for another purpose. If you have children you probably have a rainy day cupboard where you store egg cartons, cereal boxes etc so that you can surprise your kids with a craft day. From now on you should start storing some of the plastic bottles which you would normally have put to one side for recycling as there are a large number of fun things which you can do with plastic bottles. By cutting the middle from a large plastic bottle and keeping the top and bottom you can make the perfect storage jar. By making it a lollypop or candy jar you can get the kids involved in creating it. Once you have cut the bottle, simply rejoin the two parts with glue and conceal it with ribbon or lace. For toddlers and babies you could try reusing a small plastic bottle to create an aquarium. Simply add a quarter of the bottle with oil (cooking oil or baby oil), add food coloring, glitter and some plastic fish and then add some water before securing the cap with some tape. Children love to stare at these portable aquariums and give them a good shake. Buy some vegetable seeds and get your children to plant them into compost which has been placed in small plastic bottles which you have cut in half. Cut some larger plastic bottles in half and explain to your kids that they are going to cover their newly planted seeds with these bottle tops to give the plants warmth and to protect them from inclement weather. For school holidays, try reusing a large plastic bottle and fill it with either sand or small gravel. Place a broom handle inside the hole and secure with tape. This makes an inexpensive noisy musical instrument which kids will adore. If you have the time you could make quite a few so that the kids can pretend that they are in a marching band. Who knew recycling could be such fun! A fun thing to do when you are repurposing and reusing your plastic bottles is to make a bird house. Simply turn the bottle on its side and cut out a couple of windows and a door. Cover with waterproof material and suspend from a branch. You can have your children place nuts and seeds inside the house and then watch from the window to see how many different varieties of birds come to visit. As well as making use of your bottles you are also encouraging your children to take an interest in nature. Other things which you could make when recycling plastic bottles are mobiles, wind chimes, models of cars and ships, a moneybox and jewelry. Just use your imagination and you will probably come up with many more ideas. Statistics show that an alarming 80% of households never consider recycling their plastic bottles. This is just laziness and ignorance. Plastic bottles have a detrimental effect on wildlife by causing them to choke and die. They leach toxins into the oceans and threaten marine life and if they are sent to landfill they take hundreds of years to decompose. It is time to put a stop to this by recycling and using our brains. Instead of sticking your children in front of the TV, invite them to make interesting things with you from recyclable materials. By teaching people about recycling when they are young you will be shaping the way that they view the environment as they grow into adults. Mike Sorensen is a structural engineer and master cabinet maker and the author of an audio blog. He provides tips for soundproofing a room using environmentally-friendly sound production methods and generally tries to do good by Mother Earth. 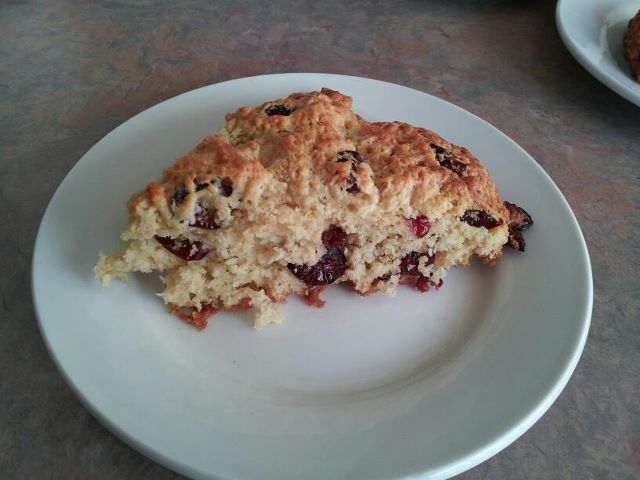 Courtesy of the Chestnut Street Inn, these rich scones are perfect for Sunday morning brunch! The best part? Those on a gluten-free diet can enjoy them, as well! Combine flour, sugar, baking soda, baking powder, xantham gum and salt. Using a pastry cutter, cut butter in until the mixture has pea size granules in it. Add dried cranberries and toss to coat. Add egg yolk to buttermilk and pour into dry mixture. Using a fork combine until most of moisture has been absorbed. Continue kneading until just combined but do not over knead. Transfer to an un-greased baking sheet and flatten into a disc about 1/2 inch thick. Using a pizza wheel, cut into 8 pieces. Brush with egg white and sprinkle with approx. 1 Tbl sugar. Place into a preheated 375 degree oven for approx. 20 minutes or until golden brown. One of the most effective ways that you can protect yourself from gum disease is to ensure that you are following a consistent oral health routine at home. Unfortunately many adults do develop gum disease at some point, however, it can easily be prevented. All it takes are three steps followed consistently after each meal and small adjustments to your lifestyle. Problems related to gum disease can really take their toll on your lifestyle and confidence. If the gum disease becomes advanced you can lose teeth and swollen and painful gums make eating difficult. Gum disease is generally caused when food particles are not correctly removed from the mouth and bacteria is allowed to flourish. Over time the bacterial growth leads to plaque forming and makes it more difficult to remove tartar. The first step in protecting your teeth and gums is to ensure that you are following a stringent oral health routine. This should consist of brushing, flossing and using a mouthwash after each meal. Each of these steps is essential for removing as much leftover food, bacteria and plaque as possible. The above ingredients are added because they leave the mouth feeling fresh, but they do not actually help to protect the mouth from gum disease in an appropriate way. There are natural products, such as OraMD, which are able to effectively remove bacteria and plaque without containing harmful ingredients. Everyone knows that your body requires certain vitamins and minerals in order to be healthy. Your gums also need certain levels of nutrition in order to fight off bacteria, fungi and infection. Make sure that your diet is rich in vitamins C, D and E and that you are getting plenty of calcium. By following the above advice, you will be able to protect your teeth and gums from gingivitis, periodontitis and other gum problems. Maintaining a high level of oral health has also been shown to advantage your overall health too. “Mom” is a huge fan of swaddling newborn babies – for security, comfort and warmth in those first precious months of life! Her favorite swaddling blanket is the Halo SleepSack® Swaddle as not only does it make swaddling your infant much easier than using a blanket that may unwrap itself during the night, posing a risk to baby, but it provides the proper positioning for the legs and hips, helping to prevent hip dysplasia. Were you are aware that hip dysplasia is the most common abnormality in newborn infants? The SleepSack® Swaddle is a wearable blanket that provides a warm and toasty environment for baby to sleep in, while at the same time, allowing the arms to be tucked in or out for freedom of movement! “Mom’s” first daughter was quite a fussy infant, and the swaddling blanket truly helped to soothe and calm her when it was time to rest and to sleep. As “Mom” is expecting again, the Halo SleepSack® Swaddle is an absolute “must-have” for this new little one about to make her debut! An added bonus to the SleepSack® Swaddle is that other caregivers such as grandparents can easily swaddle baby without an issue! There are various sleepsacks available by Halo, including an organic cotton sleepsack swaddle, and you can learn more or order online at HaloSleep.com. Are you familiar with the dirty dozen list? If you aren’t, here it is: apples, celery, strawberries, peaches, spinach, imported nectarines, imported grapes, sweet bell peppers, potatoes, blueberries, lettuce and, at a tie for number twelve, kale and collard greens. These foods have the highest amount of pesticides remaining on their skins when they reach your plate. You should always look for organic choices when purchasing any one of these 12 items. But isn’t organic expensive? You bet it is! People traditionally avoid organic foods due to their expense. The best way, hands down, of ensuring that your family is eating healthy food is to have absolute control over what you are putting on their plates. To do this, you simply must grow your own produce. While most people aren’t blessed with enough land for huge gardens, almost everyone can grow at least one or two fruits and vegetables on their patios or decks. Buying in bulk is often the best way to get a great deal on foods and other goods. If your grocery store or farmer’s market has a grain bin, fill up your own bag instead of buying pre-packaged goods. Rice, couscous and other dried grains can be a healthy staple for your meals and are relatively inexpensive. Look for brown options instead of bleached-out white options when choosing healthy grains. Buying locally grown produce is a great way to save money and reduce the pesticide load on your family’s dinner plate. By purchasing locally grown produce, you’re cutting out the middle man, reducing the amount of money you’ll pay for these fresh foods. Look for farmer’s markets and road side stands in your area! 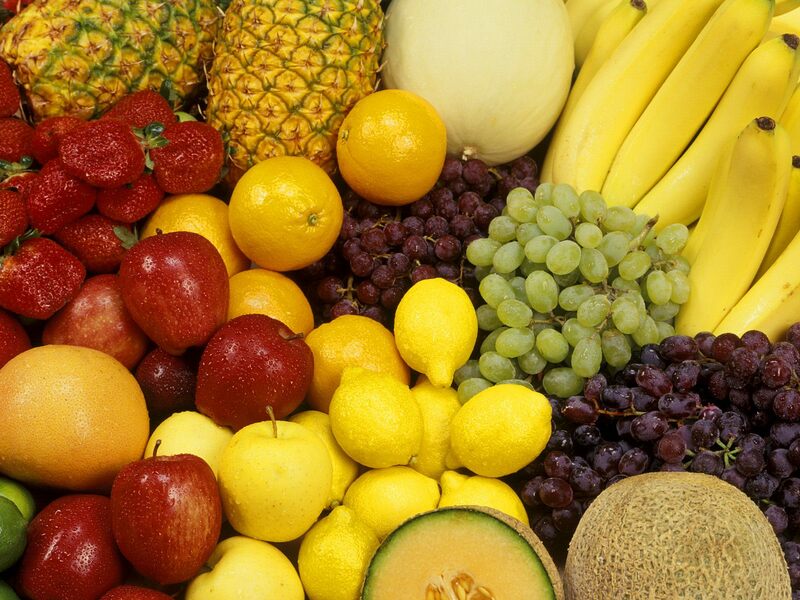 Buy fruits and vegetables when they are in season. Doing so will net you cheaper prices and fresher food. Consider buying this produce in bulk and either canning or freezing it so you can enjoy it all year long! Canning and freezing is easy once you learn how and can give your family the chance to enjoy fruits and vegetables in the healthiest way possible. The supplies you’ll need will require a small outlay of cash, but once you’ve purchased all of your supplies, the money you save will pay you back in spades. Co-ops are becoming increasingly popular and easy to find. Instead of buying boxes and boxes of organic produce that will only go bad sitting in your pantry, members of a co-op share the cost of these boxes and split the produce. You’ll have to get used to being limited in your choices but co-ops can afford you and your family an opportunity to try fruits and vegetables that you may not have tried otherwise. Keep an eye out for discounts being offered at your local stores. As the demand for organic foods grows, many stores are offering discounts on healthier produce. Look at your grocery store’s website and see if there are coupons that you can load directly onto your loyalty card for an easy, convenient way to save! Serving your family organic produce doesn’t have to break the bank. Look at these six tips as a way to save you incredible amounts of money. You’ll soon find yourself jumping on the organic bandwagon and giving shopping advice to your family and friends! Don’t make the mistake of thinking that your family can’t eat healthy while you’re trying to follow a budget. With a bit of know-how, you can eat healthier and stick to your budget at the same time. Randy Meyers is a freelance blogger for sidepon.com a site that makes it easy to find coupons for just about anything – for example, click here for ny and company coupons. She is always finding ways to save money on organic living!